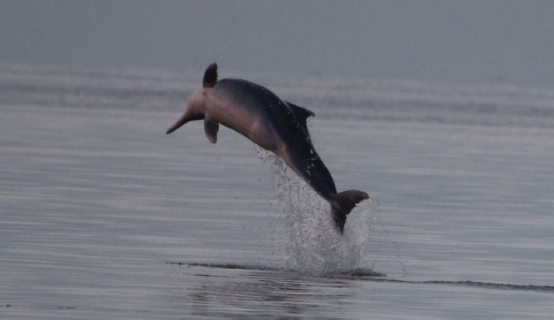 The first confirmed sighting of humpback dolphins in Papua New Guinea has taken place on a unique chartered field trip to investigate more about dolphin populations in the waters around southern PNG. The first confirmed sighting of humpback dolphins for PNG (photographer - Mathew Golding). 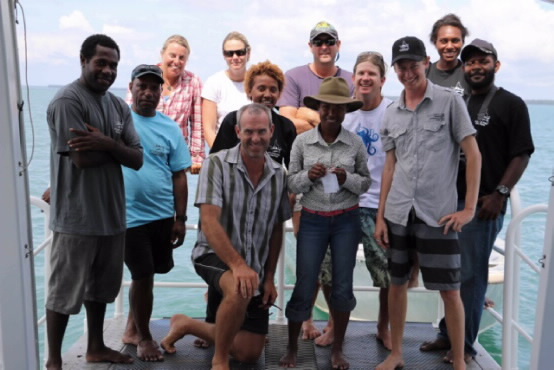 Internationally-renowned James Cook University dolphin researcher Dr Isabel Beasley has just returned from the trip, where she and seven PNG counterparts spent 15 days on a live-aboard charter vessel conducting the first broad scale assessment of marine mammal occurrence in the Kikori Delta, in south-western PNG. The research trip was funded by the PNG LNG Project, as part of the project’s community investment program. 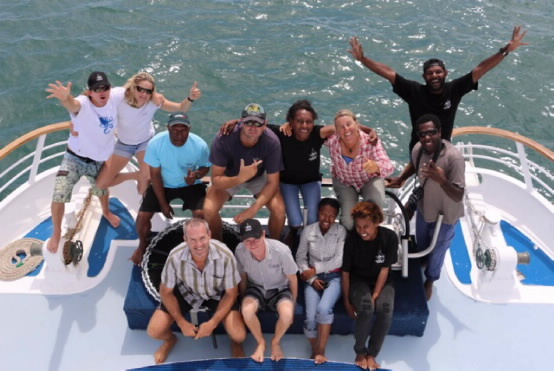 Dr Beasley said during the trip, the survey team undertook 2200km of survey and sighted 36 dolphin groups. Orcaella sp. 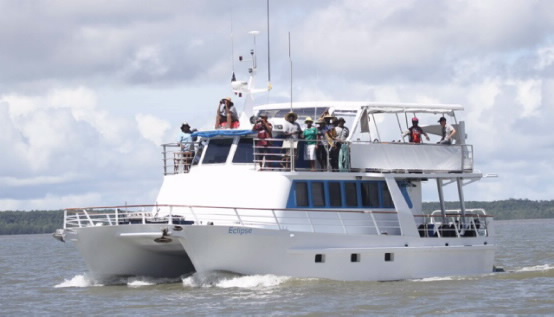 were the most numerous, with sightings of humpback dolphins and bottlenose also obtained, she said. “The very high numbers of Orcaella sp. sighted indicate that the Kikori Delta region is an internationally important hotspot for the species,” she said. Dr Beasley, from JCU’s School of Earth and Environmental Sciences, said the humpback dolphin, Sousa chinensis and Orcaella sp. (Irrawaddy and snubfin dolphins) were known to occur in small isolated populations in Indo-Pacific/Asian coastal waters, however their conservation status in PNG remains unknown. The Orcaella sp. from Kikori is the only known resident population in the Pacific Islands. 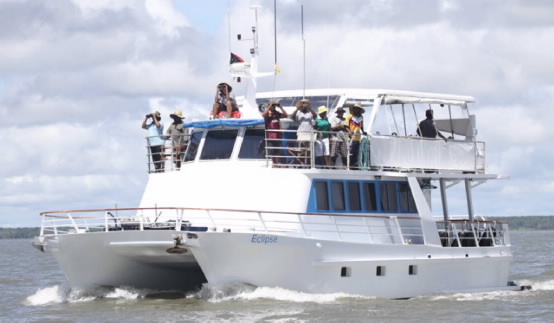 “The project aims to investigate the occurrence of inshore dolphins in the Kikori Delta region, using discussions with local communities, boat-based surveys, photo-identification and genetic analysis of samples obtained from stranded individuals,” Dr Beasley said. 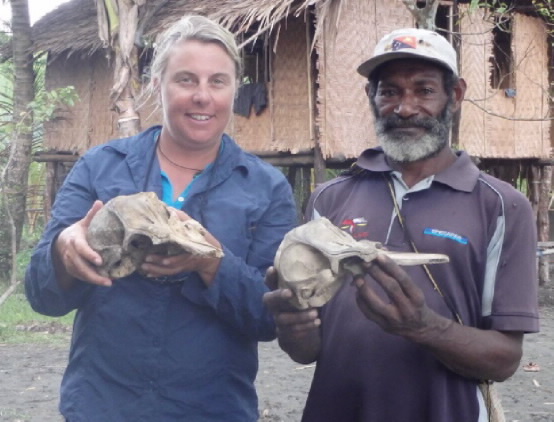 “We will also be investigating the occurrence of other marine megafauna, such as offshore cetaceans, marine turtles and dugongs, in the region, and determine which species of Orcaella occurs in Papua New Guinea – the Irrawaddy or snubfin dolphin, or even a total new species or subspecies. 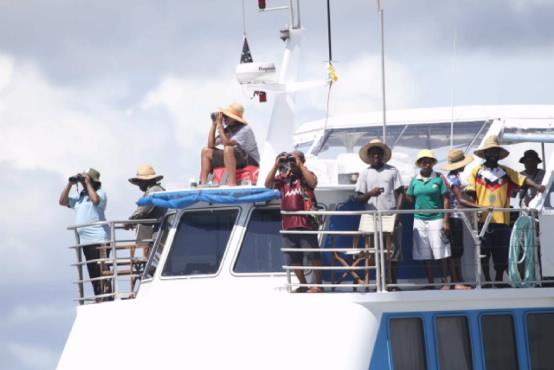 Dr Beasley said all participants gained experience in conducting marine mammal surveys and data entry during the surveys. 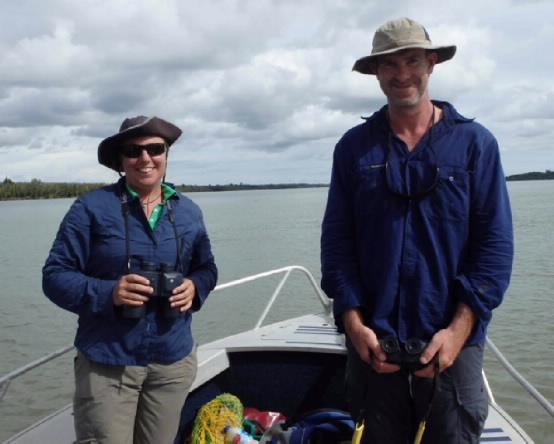 Dr Beasley said the results of the study would assist towards an accurate assessment of the taxonomy and conservation status of marine mammals (and associated marine megafauna) inhabiting the Kikori Delta region. It will also contribute towards developing community-based management strategies for their long-term survival. Dr Beasley said the project, while funded by PNG LNG, includes collaboration with local PNG agencies, the PNG National Museum and Art Gallery, Department of Environment and Conservation, Institute of Biological Research, and University of Papua New Guinea.